“It’s not about the money.” This saying has become almost a cliché among financial planners and therapists who help clients address the emotional aspects of their relationships with money. We keep using this phrase because it is so true. Overspending, taking unreasonable risks, money conflicts that strain marriages, failing to learn from money mistakes, and a host of other problematic money patterns are not about money. They are about emotions. And since brain researchers tell us that 90% of all decisions are made emotionally, it literally “pays” to pay attention to your emotions. Because money affects so many aspects of our lives, it’s only natural that destructive behavior around money is one of the ways people try to cope with emotional pain. Money dysfunction is really no different from other destructive behaviors like addiction or codependency. Like them, it can have high physical, emotional, relationship, and financial costs. The more I learn about the relationship between our emotions and our money choices, the more I understand why financial knowledge alone isn’t enough to help people change unhelpful behaviors that keep them stuck. I am convinced of the value of financial therapy and other forms of counseling to help people create financial and emotional balance in their lives. It’s clear to me that psychotherapy offers clear financial benefits as well as emotional ones. 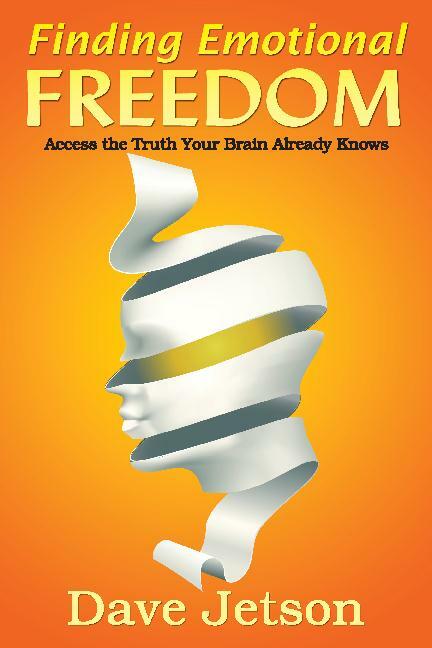 A new book by Dave Jetson, Finding Emotional Freedom: Access the Truth Your Brain Already Knows, addresses these issues in one of the more clear and succinct manners I’ve encountered. Dave is one of the few counselors in the nation who understands and practices financial therapy. In his practice and workshops, he uses experiential therapy techniques that access both the conscious and unconscious parts of the brain to help people recover from any type of abuse and trauma, including financial. I’ve seen first-hand how effective this work is. I also know that Dave is one of those rare guides who’s actually done and succeeded at what he teaches. He is one of those who walks the walk. Now he has written a book describing that walk. Finding Emotional Freedom includes a clear, readable description of how our brains process emotions. This is useful, even critical information for anyone who wants to make wiser money choices. Dave also describes how codependency develops and some of the patterns it takes. Many of these patterns—from addictions, to shopping as “retail therapy,” to excessive taking care of others—have financial as well as emotional costs. Even though Dave offers financial therapy and has created a workshop on Financial Recovery, he doesn’t specifically discuss financial codependency in this book. This doesn’t mean the issue is not important. In fact, it serves to underscore the principle that that many money issues really are not about the money. 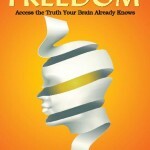 Finally, this book explains how experiential therapy works and the deep changes it can make. Finding Emotional Freedom shows the possibilities for not only healing emotional wounds, but for increasing your emotional intelligence. It’s a powerful book, and I highly recommend it. When I was starting out as a financial planner 30 years ago, I wouldn’t necessarily have even picked up a book like this, much less have felt comfortable recommending it to clients. Now I know better. What I have learned over those years is that real financial planning is about much more than just the money. Providing investment advice that helps people achieve financial health is certainly important. But the larger role of a financial planner is to help clients prosper. Real prosperity includes not only financial health, but also emotional health and happiness. Interested in buying book., Is it available on Amazon ? Yes, it is available on Amazon.com. Great book, author and therapist. Dave and Rick do life changing work! Keep it up! !